A couple of months ago, Activision confirmed Battle Royale mode to be included in their upcoming shooter Call of Duty Black Ops 4 which is set release later this year. We heard a lot of praise regarding the new Call of Duty Battle Royale which is said to be the best Battle Royale ever by the game developers and now we finally got a short glimpse of the new game mode in the latest multiplayer trailer published by the developers. The Battle Royale mode is called as “Blackout” in the new game which will feature iconic locations from the previous games in the franchise, famous weapons, vehicles and much more. The developers confirmed two separate betas for the game prior to its official release where one will be focused on the online multiplayer mode, while the second one will be focused on the Battle Royale mode ‘Blackout’. As we are getting closer to the release date, the multiplayer beta will be starting in a few days. Luckily we can see a short footage of the mode, probably 13 seconds long in the new trailer which actually starts from 1:25. 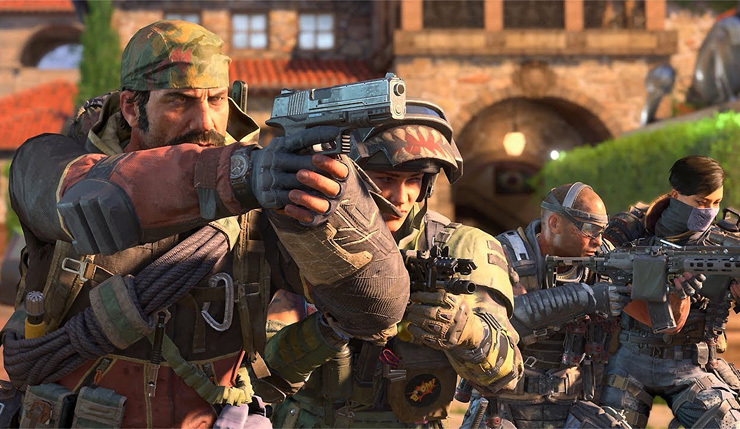 The multiplayer beta for Call of Duty Black Ops 4 will kick off from August 3rd till August 6th exclusively for PS4, while it will be starting again for PC, PS4 and Xbox One from August 10th and will end on August 13th. It must be noted that PC early access beta will be starting from August 10th exclusively from Battle.net where the open beta will be starting the very next day, August 11th and will end on August 13th. Whereas the second beta for ‘Blackout’ mode will start sometime in September. Call of Duty: Black Ops 4 will be released on October 12th, 2018 for PC, PS4 and Xbox One. Stay tuned for more updates!